Life is loaded with a wide variety of circumstances and experiences – some of them trigger great feelings and thoughts while others set off an endless flow of negativity. It is up to you to decide whether you allow the negativity to grow inside you or you suppress it. When your mind is filled with positive affirmations, you are more likely to handle all the problems and obstacles with little to no stress. Negative thoughts lead to negative actions. In other words, when you expect the worst and see the negative side in any situation, the worst happens. You are more likely to act negatively when your mind is consumed with thousand negative thoughts and predictions. Consider starting a journal, practicing meditation, and changing certain aspects of your life that cause negative thoughts. Keep your mind occupied whenever a negative thought pops up. For instance, when you are waiting for some outcome of the situation, start writing, drawing, sewing, or crafting instead of thinking. Focus on all the good things happening around you and list out the things you are grateful for. Whatever you do, make sure your mind is jam-packed with positive thoughts. There is no need to look for super positive quotes and learn or write and stick them on the fridge, bed, lamp, etc. Just tell yourself something like, “Todays is a happy day,” “I am smart and beautiful,” or “I am happy today no matter what happens.” Positive self-talk is not a sign of madness or narcissism; it is a sign of a positive mind. Unless you are superhuman, you can’t change what happened in the past. Unless you are a foreteller, you can’t know what will happen in the future. All you can do is to enjoy the present moment. Leave the past in the past and stop worrying about the future. Living in the present is key to a happier and longer life. Be you an extrovert, introvert, or ambivert, you have to interact with people. Negative people make you believe in negative affirmations, negative outlooks, and negative stories. They breed negativity and are not enhancing your life. Stay away from negative people and surround yourself with everyone who spreads positivity. Learn how to turn any mistakes, failures, and heartbreaking moments into precious life lessons. Embrace your fears and beat those that prevent you from living a fulfilled life. It is tempting to say, “I can’t do it,” and spend your day crying and complaining. But remember, this is a wrong approach and problems will never be solved themselves. 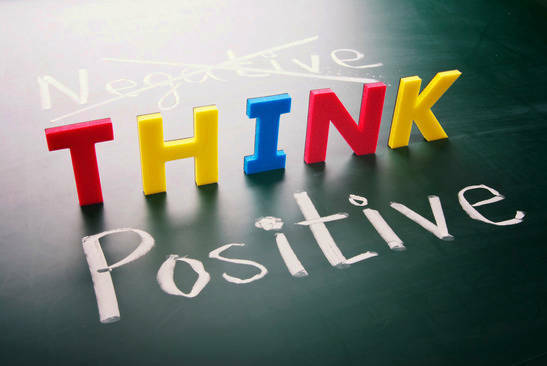 Train your brain to stay positive and make you act positively, despite all the raving madness of the world. This is a crucial step to happier living.